Brian Alfred visits the studio of painter Catherine Haggarty. 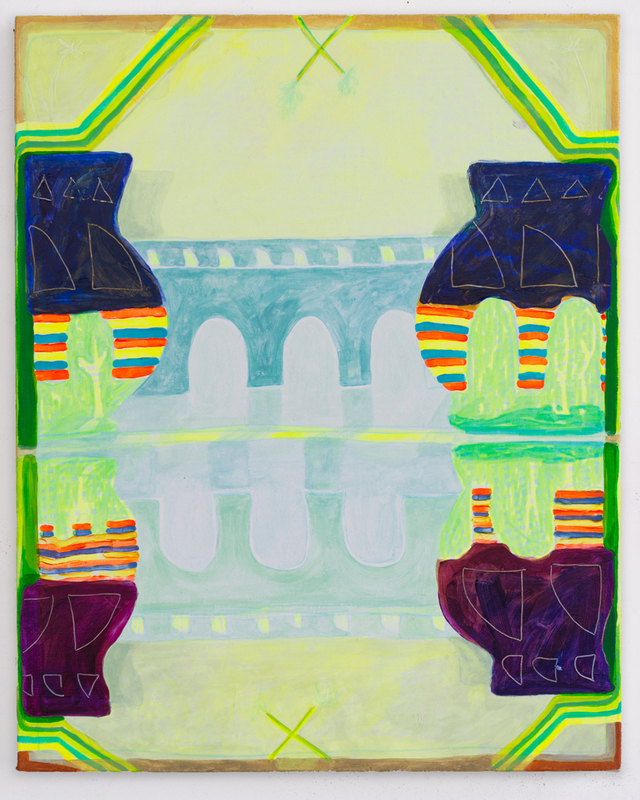 Haggarty discusses her recent paintings which were informed by a residency in France where "there were ... reoccurring forms and bridges and arches, and the observation that came from that time." She also remarks: "I've been thinking a lot about atmosphere... a haze or a mist which might allude to or refer to time, to space."